The fourth edition of this covers key topics including the sourcing of cell lines, quality control. It also includes detailed protocols for induced pluripotent stem cells and for growing cells in 3D cell culture. In 2018, eight new viral strains from five families were made available through the NCPV online catalogue. 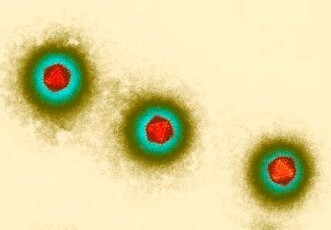 Three of these were Human adenovirus species D, the rest were Adenovirus 8, Chikungunya virus, Poxvirus Pakistan, Epstein-Barr virus and Usutu virus. Diagnosis of viral infections is often achieved by testing clinical samples using molecular methods such as PCR and sequencing, or serology. During a public health response to an emerging disease, biological material such as live virus is needed to develop and validate new molecular and serological tests. Public Health England (PHE) is the custodian of four unique collections that consist of expertly preserved, authenticated cell lines and microbial strains of known provenance for use in medical science and laboratory healthcare. All the collections are developed, managed and maintained by highly trained, dedicated staff who work in accordance with internationally recognised quality standards including certification to ISO 9001:2015. Cultures from the collections are used by scientists who need to reassure themselves and others that the materials they are using are authentic, so the conclusions to their studies are valid and relevant. This is particularly important where research may lead to peer-reviewed publications, for example, in drug discovery and vaccine efficacy studies. Authenticated reference strains are also of paramount importance for clinical diagnostic testing, food, water and environmental microbiology testing and validation studies. 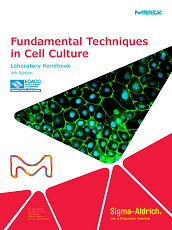 The European Collection of Authenticated Cell Cultures (ECACC) maintains and supplies cell lines and their derivatives such as DNA, RNA and cDNA. The National Collection of Type Cultures (NCTC) maintains and supplies over 5,000 bacteria and mycoplasma strains. The National Collection of Pathogenic Viruses (NCPV) maintains and supplies over 700 viruses and viral nucleic acid. The National Collection of Pathogenic Fungi (NCPF) maintains and supplies over 4000 fungal strains.